The question I received was "I am seeing these gradient eye colors all over pinterest and I want to know how to do one, without it being so crazy! I want one that goes form brown to cream, not from stark white to jet black. Thanks!" 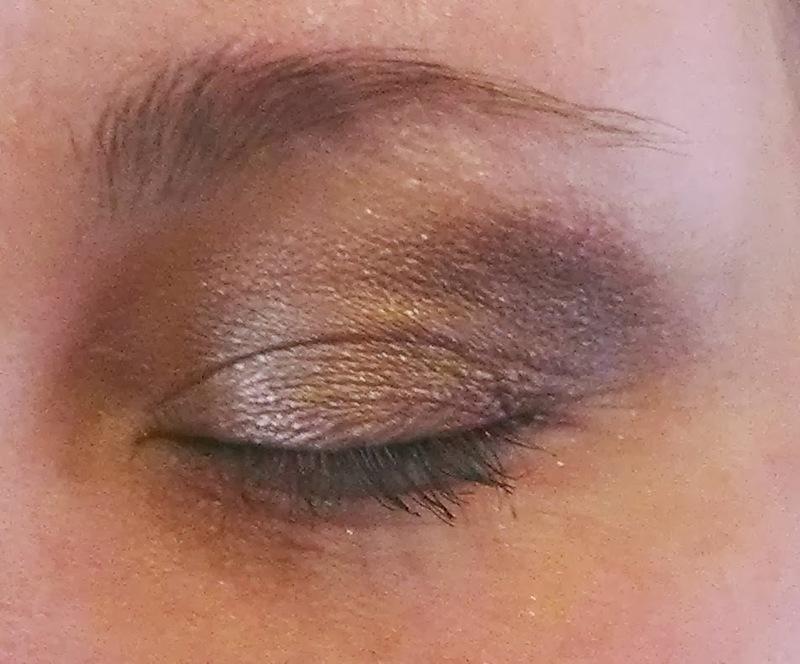 So here you are, an eye shadow gradient tutorial. I use Mary Kay Creme Eye Color as my eye shadow primer, they have a lot of fun colors that can not only help your eye shadow stay, but also help make your colors stand out, and act as a color as well. I used Beach Blonde for this application. As you can see in the picture I have covered her eyelid all the way from the lash line to the brow bone. I also made sure to cover from her water well and the round of her nose all the way out to the end of her eyebrow. The fan is the part of the eye makeup that extends past the outer corner of your eye, this part can be clearly seen when the eye is open. I usually extend the outline using the lashline as a guide, making the crease a halfway point, and then extending the guide up to where the eyeball socket ends and the brow bone begins. Usually before this step you'd need to use a white or creme eye color over the entire primed area, but since the product I used was 2-in-1 that step has been skipped in this tutorial. Take your brush and smudge the fan, this is pretty straight forward, generally I like to do a little blending (or smudging) out ward, and then a lot of blending inward. Anyways, this will kind of start to finally look like a gradient. 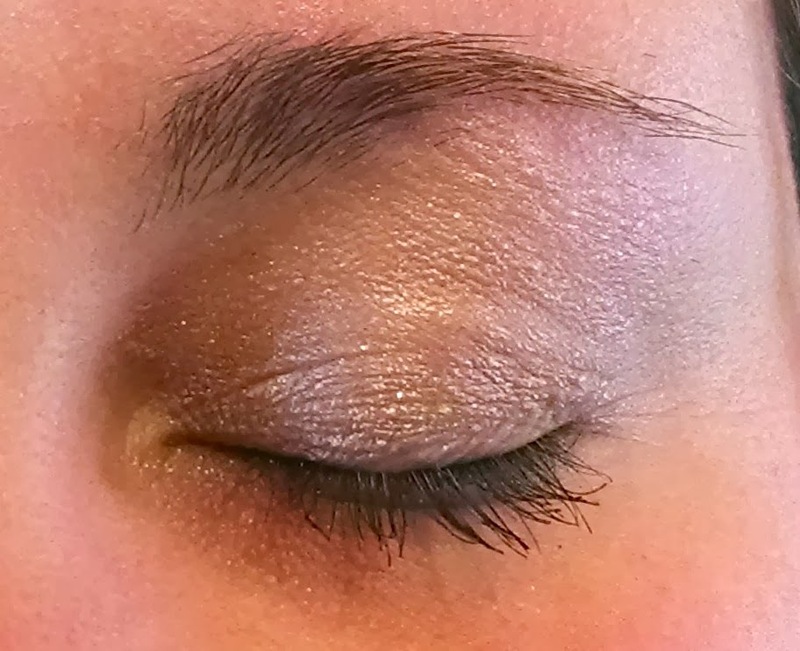 Your blending should end before you hit the inside corner of the eye! Don't blend all the way over! As mentioned before your first color should have been applied over the primer, but because the primer I used doubled as an eye color this tutorial skipped that step. The color you are now using will be a tan or medium brown eye color. You need to place that in the middle of the eyelid and blend into the fan, and slightly towards the inside corner of the eye, and up as high as the fan goes. 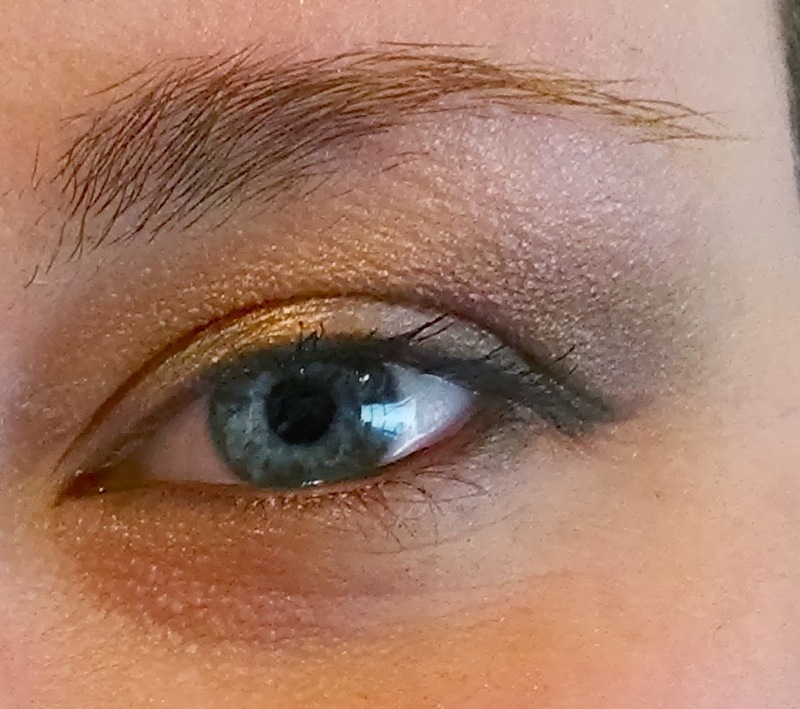 A lot of gradients are accompanied by a subtle cat eye. This is a totally optional thing, but I am putting it up here just in case it's something you want. 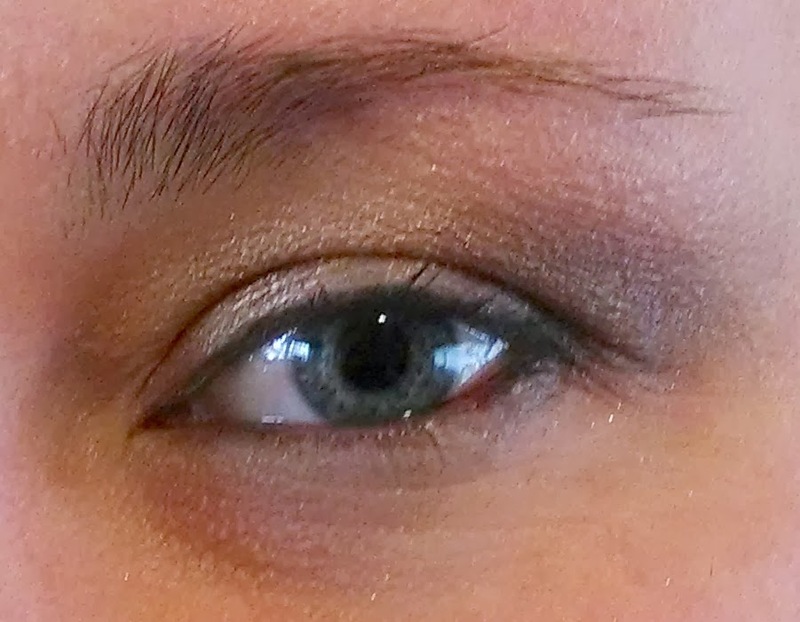 Stretch the outer corner of the eye, and use the main crease as a guide. 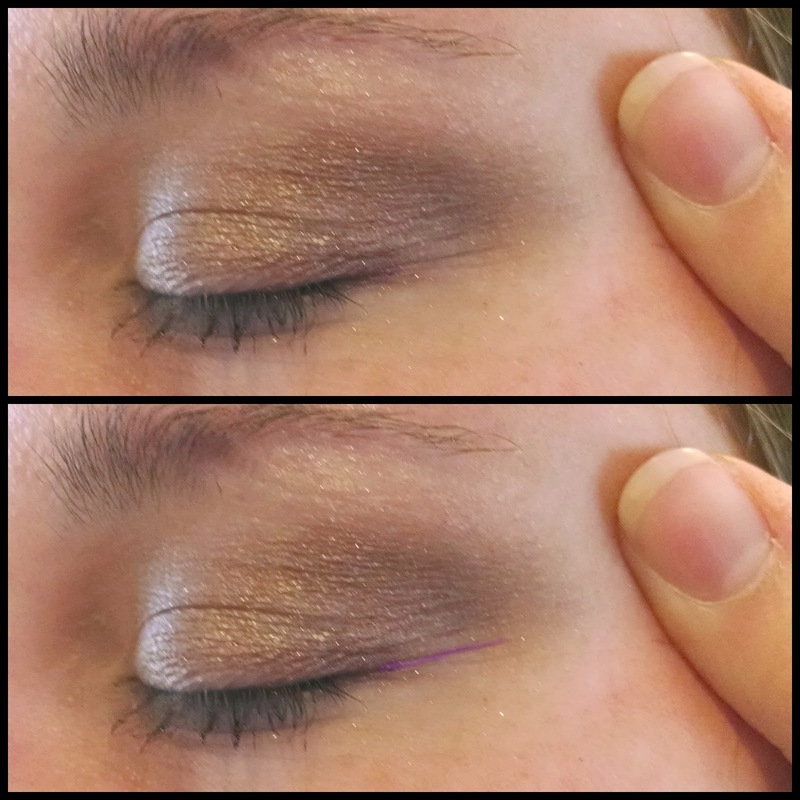 (in the bottom picture on the left, I have the main crease highlighted in purple.) As you can see in the pictures below you only slightly go above that crease at the very end of the line. If you don't like the cat eye look, do a subtle smudge like in the first picture below, without extending far past your eye. 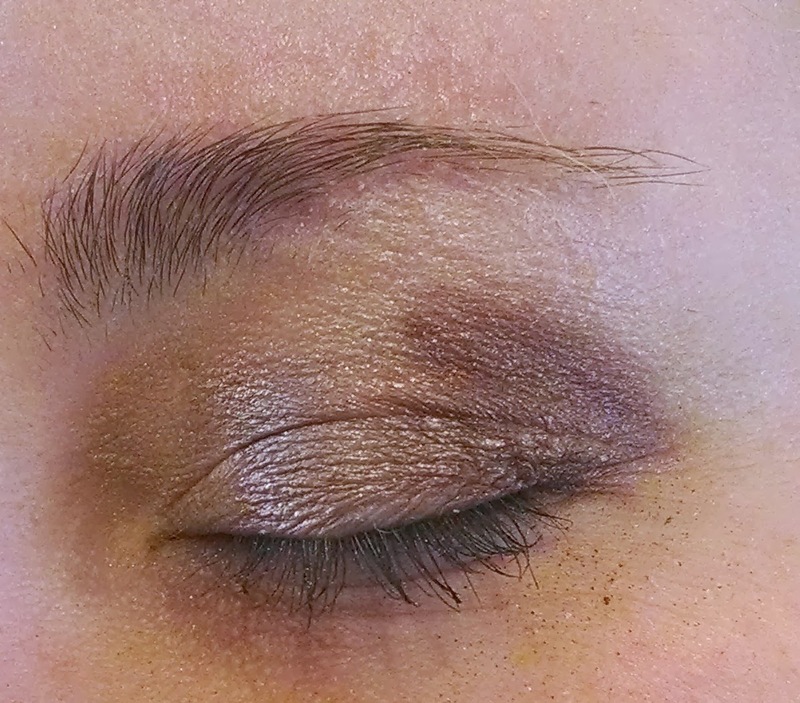 Highlight the brow bone, put on mascara, and eyeliner, and clean up any fallen makeup around the eyes. 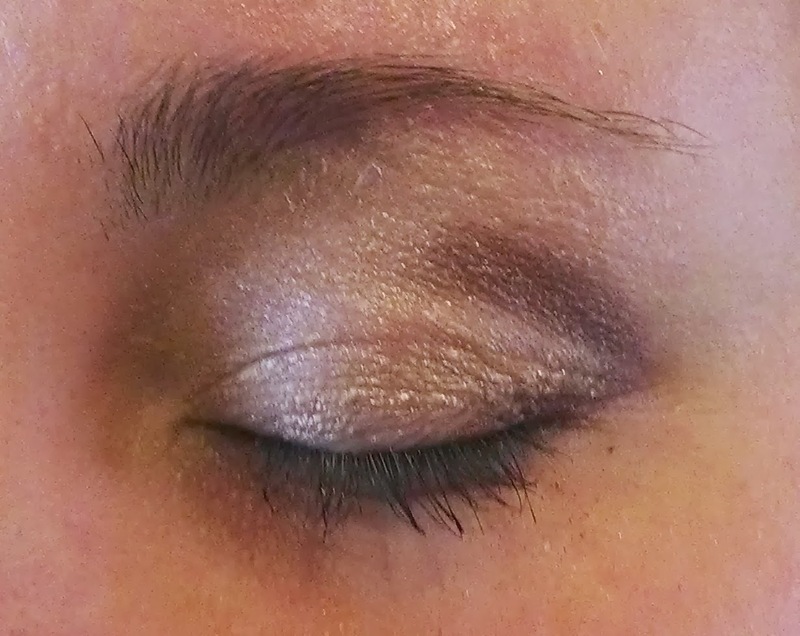 then you will have a gorgeous eye shadow gradient!